In line with its strategic focus on employees to develop leadership and management capacity to guarantee business continuity at all times, a group of 22 senior managers completed a six months’ leadership training course. This brings to 36 the number of middle and senior managers who participated in the course which covered aspects such as leading self, leading change, leading others, leading performance and leading engagement. The training aspects were complimented by actual work application in-between the theoretical modules to transform the Bank into a modern institution that is best placed to deliver superior customer service and effectively fulfill its mandate. Speaking at the certification ceremony, Agribank Chief Executive Officer, Sakaria Nghikembua, noted that the value of any training is in the output of the beneficiaries. Nghikembua reminded the trainees to challenge themselves by asking themselves whether the services provided to clients are now better and efficient and whether the Bank is reaching out to more clients in an efficient manner. The Bank’s Organisational Development Manager Muhindua Kaura noted that "the training program had a tremendous impact on the business from the word go as it was a very practical process and demanded of participants to already apply their newly acquired knowledge and skills in the work environment". A number of participants at the recently held public lecture on drought management strategies applauded Agribank for sharing valuable information on possible ways that livestock farmers can deal with the current adverse weather conditions. The lecture, held on Thursday 11 April 2019 in Otjiwarongo by Agribank’s Agri-Advisory Services Division (AASD), was attended by more than 60 part time and full time farmers, all with one common concern – the impact of the current drought on their livestock. Namibia has endured recurrent drought conditions since 2013, which have affected the drier regions of the country such as the south, west and north-west, although some improvements in rainfall were recorded in 2017. Drought is characterized by a period of insufficient rainfall (far below average/normal) that depletes grazing areas and deprives the soil of sufficient/ moisture, resulting in poor land productivity. Consequently, drought conditions compromise livestock productivity, farm income, and farmers’ sustainable livelihoods. During drought, livestock conditions deteriorate due to thirst and hunger, and eventual deaths are inevitable. Farmers do not earn much from their livestock as market prices have reduced due to deteriorated animal body conditions and insufficient fodder or grazing to maintain them. Financial burdens become heavier as farmers tend to depend heavily on commercial feed supplements to survive the drought. AASD’s Technical Officer, Erastus Ngaruka, who conducted the public lecture, implored upon farmers to always have a plan to mitigate the impact of drought on their farming activities. "The most important stage is where farmers have to make decisions for any strategy chosen. Basically, they have three options; Relocate the animals, Sell the animals, or feed the animals, or a combination of these options", Ngaruka explained. According to Ngaruka, when a farmer decides on any or all three options, there are some key questions to be answered so that the decision is economical and not counter-productive in the end. If the farmer decides to relocate, the following are key considerations: where to relocate and how far from essential services (e.g. markets, inputs), which animals and how many to be relocated, is there sufficient and reliable grazing and water? and what is the duration of your stay at the new place? It is advisable to assess the status of the new grazing area before moving the animals. If the farmer decides to sell, the following needs to be considered. Which animals and how many to sell? when and where these animals will be sold, is there a restocking plan? how much money is expected from sales and what it is budgeted for. Timing is key when it comes to selling the animals, it is best to sell them while their body conditions and prices are favourable. If the farmer decides to feed, the following needs to be considered. Which animals and how many needs to be fed? is there sufficient feed and additional money for extra feed? how much costs and for how long is the feeding period? what is your farm fodder flow plan and which are the sources? Drought feeding is most effective when animals are segregated according to their production stages and feeding needs. Ngaruka reiterated that drought conditions will always vary, and there is no standard recipe to cope with drought. "Every year, a farmer should re-assess his/her farm business in terms of finances, feeds, and ability to survive any drought year," he concluded. 1. Farmers from previously disadvantaged backgrounds have complained that Agribank is taking time to declare the drought a national crisis. They are questioning why you are not taking the lead to influence government to make the declaration. Why has the bank not yet done this? It is not Agribank’s mandate to declare a drought in the country, least of all to declare the drought as a national crisis. It is also not the bank’s responsibility to influence the government to declare the drought or to declare it as a national crisis. The mandate to declare droughts in the country lies with the government. Farmers belong to farmers’ unions and these would be the correct structures which they should use to lobby government for purposes of declaring a drought in the country. The bank’s mandate is to finance agriculture, including initiatives aimed at coping with the drought, such as providing loans for fodder, water infrastructure, irrigation infrastructure, creating alternative income streams such as wood and charcoal production and similar drought-mitigating measures. 2. Secondly, they want the bank to suspend the collection of loans from them till the drought is over. What is the bank’s position on this? The bank cannot accede to such a request on a wholesale basis. We wish to once again advise our clients to contact the bank and make appropriate repayment arrangements based on their specific circumstances. It is best that such an approach is made early. In an interview with a local newspaper last week, the Agribank chief executive officer indicated that the bank was finalising some drought assistance measures and that these will be announced in due course when finalised. It is however important to under-score that any such measures will be severely constrained by clients’ poor repayment record. The bank does not have access to unlimited cash resources and solely relies on what it collects back from clients to disburse anew. In the absence of such repayments, the bank cannot make new disbursements. Applicants must have a clean credit record. Applicants can either be full or part time farmers. Applicants should be Namibian citizens. Applicants must provide a business plan. 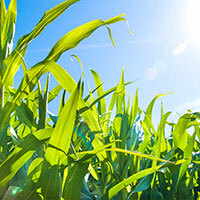 Agribank offers flexible installment options to suit client’s financial needs. The available installment options are: monthly, quarterly, biannual or annual. Loans are granted against security of fixed property, investment or any other acceptable form of security (fixed deposits, investments and surrendering value of policies). Applicants must provide a quotation from registered supplier/dealer. Companies or co-operatives should provide audited financial statements, certificate of registration, association agreement, shareholders or directors of the company and must have a registered Auditing Firm.